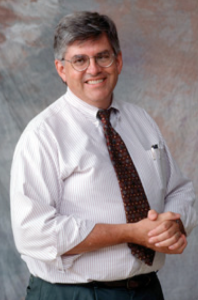 Professor Dr. Thomas S. Ulen received a Bachelor of Arts degree from Dartmouth College, a Master of Arts from St. Catherine’s College, Oxford, and a Ph.D. in economics from Stanford University. He holds a Swanlund Chair, one of the highest endowed titles on the Urbana-Champaign campus and is director of the College’s Program in Law and Economics. Furthermore, he is a research affiliate of the Environmental Council, a member of the Campus Honors faculty, and holds positions in the Department of Economics and the Institute for Government and Public Affairs. Recently, Professor Ulen served as a visiting professor at the University of Bielefeld; he also held the foreign Chair in international and comparative law at the University of Ghent, Belgium. He has previously been a visiting professor in Belgium, Germany, Slovenia, and a Ford Foundation Professor in Shanghai, China. A prolific writer, Professor Ulen authored seven books (of which “Law and Economics” is a leading global textbook), more than seventy articles and numerous other materials (book chapters, essays, reviews). He is considered one of the greatest minds in his field. Professor Ulen was a member of the founding board of Directors of the American Law and Economics Association. His contribution is an essay published in Switzerland. Information in the Market Economy – Cognitive Errors and Legal Correctives, in: Grundmann/Kerber/Weatherill (eds. ), Party Autonomy and the Role of Information in the Internal Market, p. 98-130, Berlin 2001. An Introduction to Behavioral Law and Economics, in: Altman Morris (eds. ), Handbook of contemporary behavioral economics, Armonk, p. 671-688, New York 2006. Empirical methods in Law (co-authored by Lawless Robert M. and Robbennolt Jennifer K.), Austin 2010. Law and economics (co-autor by Cooter Robert), 6th Edition, Boston 2012. The economics of class action litigation, in: Backhaus Jürgen G. (eds. ), The law and economics of class actions in Europe: lessons from America, p. 75-100, Cheltenham 2012. The economics of activity levels in tort liability and regulation, in: Baker Matthew/Miceli Thomas (eds. ), Research Handbook on Economic Models of Law, Cheltenham 2013, P. 33-53, 2013. The Importance of Behavioral Law, in: Teichman Doron/Zamir Eyal (eds. ), The Oxford handbook of behavioral economics and the law, p. 93-124, New York 2014. Law and economics, the moral limits of the market and threshold deontology, in: Hatzis Aristides N./Mercuro Nicholas (eds. ), Law and Economics-Philosophical issues and fundamental questions, p. 203-225, London 2015. Legal Scholarship and the Practice of Law, in: Waldburger/Sester/Peter/Baer (eds. ), Law & Economics – Festschrift für Peter Nobel zum 70. Geburtstag, p. 93-114, Bern 2015.